A classic Pictured Book in the Mister Men series: Roger Hargreaves’ Mr. 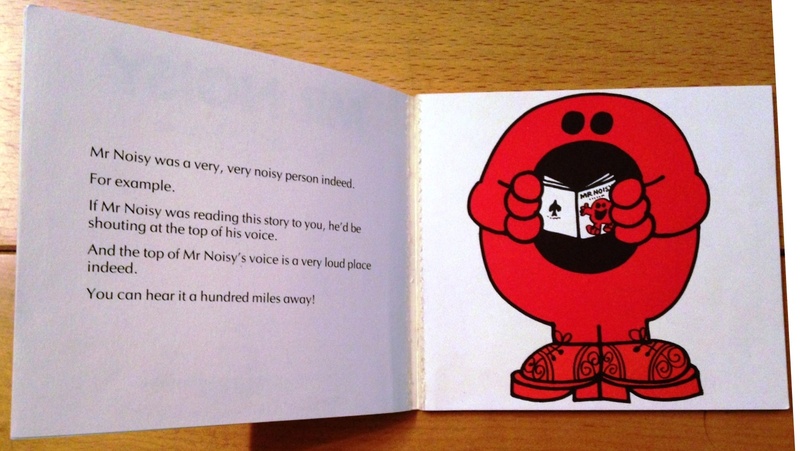 Noisy (Price Stern Sloan, 1976). See also Little Miss Star. Brian Wildsmith brought his customary verve and colour to Robert Louis Stevenson’s A Child’s Garden of Verses (OUP, 1966). 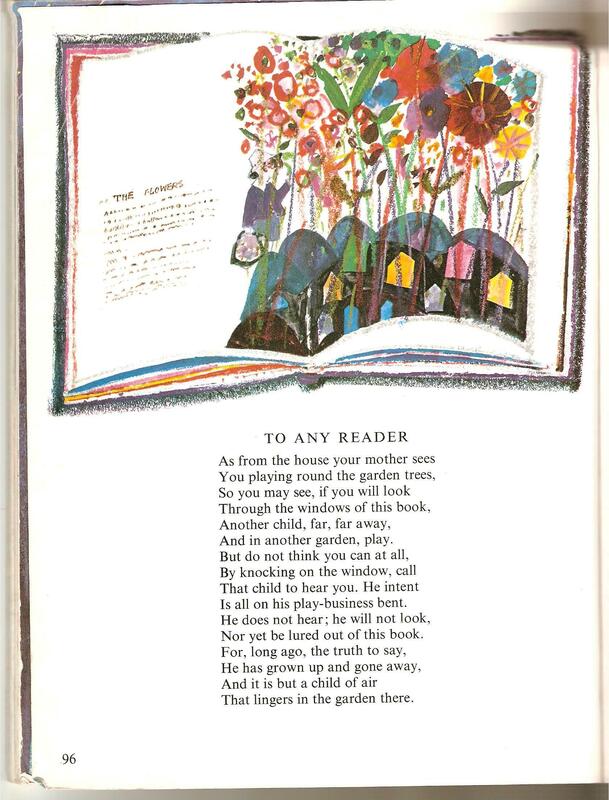 He illustrates the final poem, ‘To Any Reader’, with a book and a child who will not “be lured out of this book”. 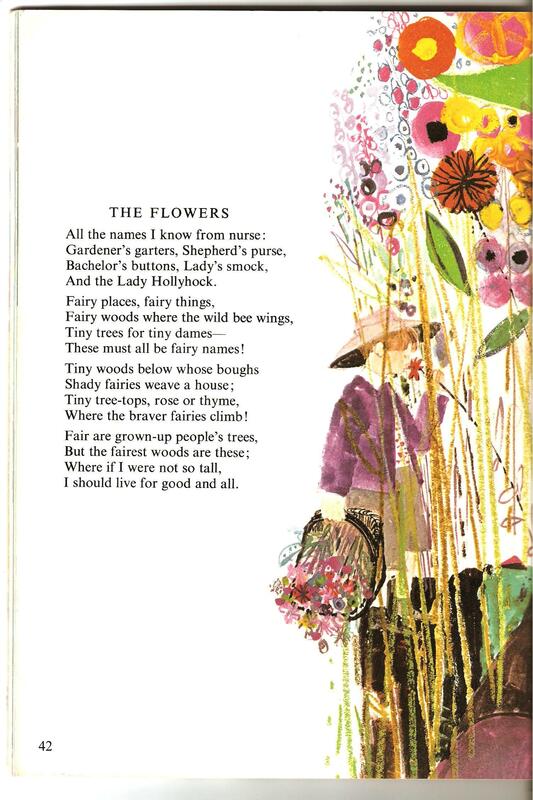 The only legible words are ‘The Flowers’; and on page 42, the same boy admires the flowers next to the poem of that name. 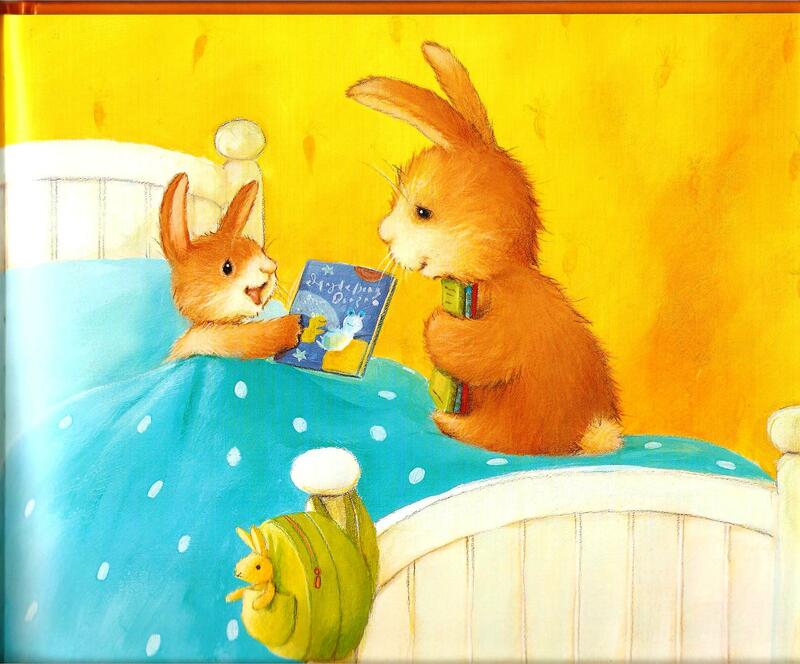 “So you may see, if you will look / Through the windows of this book, / Another child, far, far away”. Another library find! In Sir Charlie Stinky Socks and the Tale of the Wizard’s Whisper, our hero is “looking for a new adventure”. 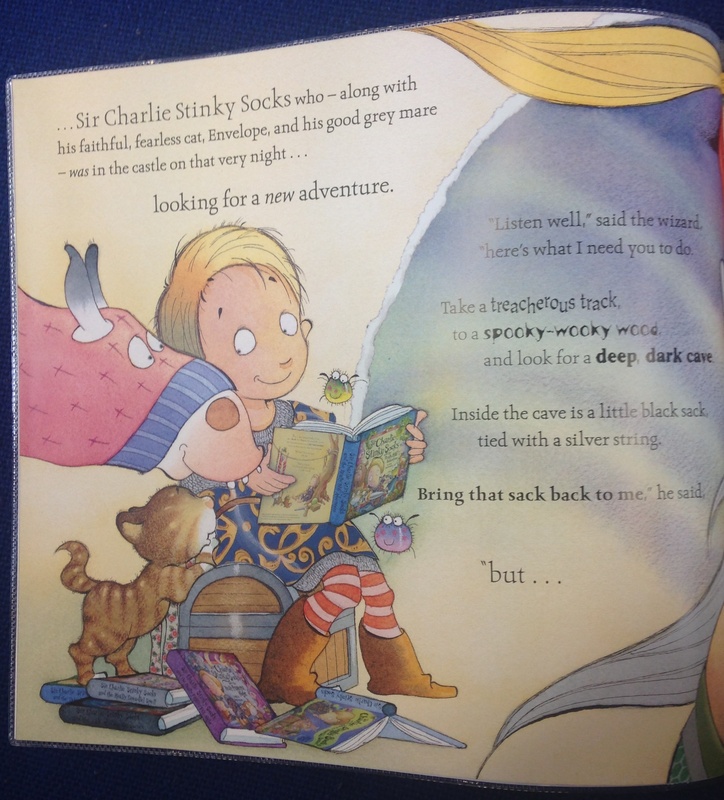 The picture shows the old adventures discarded around his feet: Sir Charlie Stinky Socks and the Really Dreadful Spell, Sir Charlie Stinky Socks and the Really Frightful Night, Sir Charlie Stinky Socks and the Tale of the Terrible Secret, and Sir Charlie Stinky Socks and the Tale of the Two Treasures. In his hands is the first in the series, Sir Charlie Stinky Socks and the Really Big Adventure. So we can infer that the cat is standing on the book of this adventure, namely Sir Charlie Stinky Socks and the Tale of the Wizard’s Whisper.